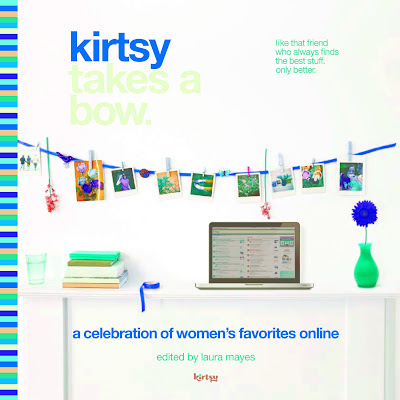 Kirtsy Takes a Bow – A Celebration of Women’s Favorites Online is a collective work with contributions from almost 100 authors/contributors. There’s going to be a book tour and signings and all kinds of fun stuff, so I’ll keep you posted as I find out more. The kids were so excited this morning when they woke up that they were jumping around and laughing. For more “Wordful” or “Wordless” Wednesday photos, stop by Angie’s Seven Clown Circus or 5MinutesforMom. It was pouring today here, too.CONGRATS on being published. Yahoo. So excited for you! Congrats on the publishing. The "rains" began today. Probably won't end for us until next June. Bleh. Congrats, you published author! Very exciting!!! Congrats on being published!And poor, poor Greg! Congratulations!!! That is so exciting! You ought to try your hand at anthologies like Cup of Comfort and some motherhood literary magazines too, if you haven't already. I've had some good luck with those! As for the rain – I don't think I've seen the sun around here for over a week. Rain, rain go away! Well done.So now the bucket list has one more check?? How fantastic that you're published! Wonderful! !The rain did a little number on poor little Greg, didn't it? Congratulations on the book- how cool! Congrats, how seriously fun and exciting!!! That is such exciting news! I cannot wait to see the book. I heard about the rain over there. It's pretty rare to get that much rain over in Cali. Congrats in being published, that is awesome! Great photos too!Stopping in from SITS! Congrats on being published. Very exciting!Your rain looks like our rain up here in rainy Vancouver. We're in for days and days and days of it…. We are still waiting for your rain to make it down here to the lower regions of California. Looks like we may remain dry. Congratulations on being a published author! But poor, Greg…face down in the rain is no way for a scarecrow to be! Wow! That is so exciting. Congratulations! I will have to keep my eyes open for the book when it hits stores.Happy Wednesday! This is so exciting -congratulations! Couldn't have happened to a better person! Exciting news! We had lots of rain here as well. Whoop Whoop! Doing the not-so-pretty middle-aged dance over here.Great news Genny…make sure to let me know when your first book signing is, I'm gonna have to have Mz. Published sign it personally.Yay! First, congrats on your book contribution! That is so exciting!It's been raining here in Indiana for 2 weeks straight. I'm glad it doesn't bother me, otherwise, I'd be a basket case by now. Isn't the rain awesome though!?! Everything feels so clean :)Found you on Wordful Wednesday!